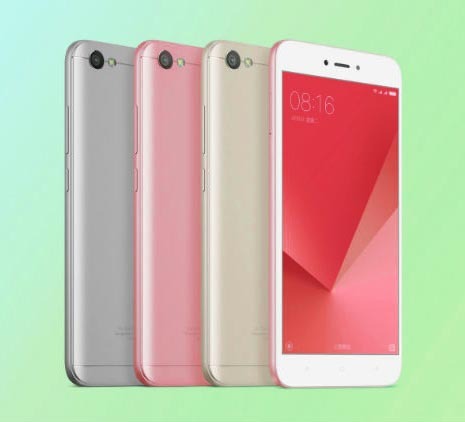 The latest released mobile phone which was announced in Beijing and marks is Xiaomi Redmi Note 5A. This seems to be the latest model that has come under this company’s popular Redmi series. This model falls under the most affordable device of this same company. Shipping with this model, is a 16-megapixel front camera with a selfie flash. It comes with a dual-SIM and also features a 5.5-inch display and a resolution of 1280 x 720 pixels. The display is big enough to enjoy videos on the go, though the resolution here is not a Full HD one. Redmi Note 5A is powered by Qualcomm Snapdragon 435 processor. It comes with either 3GB or 4GB RAM and 32GB or 64GB storage. Moreover, there’s a another variant with a Snapdragon 425 processor, 2GB RAM and 16 GB storage. Xiaomi Note 5A also incorporates a fingerprint scanner for unlocking the smartphone, though the feature is limited to the top-end variant. Redmi Note 5A runs on the company’s MIUI, which is based on Android 7.1 Nougat. Xiaomi Redmi Note 5A comes in Champagne Gold, Rose Gold and Platinum Silver colours options. See below For The Full Specifications and price Of Xiaomi Redmi Note 5 A.